The Girl At Midnight by Melissa Grey had everything I could have hoped for: danger, magic, romance. I’m not usually one who actively searches for romance in novels (as I’m more interested in the plot than most relationships; but who doesn’t enjoy a little extra icing on their cupcake?) and I found myself rooting for all of the relationships blooming in the story. 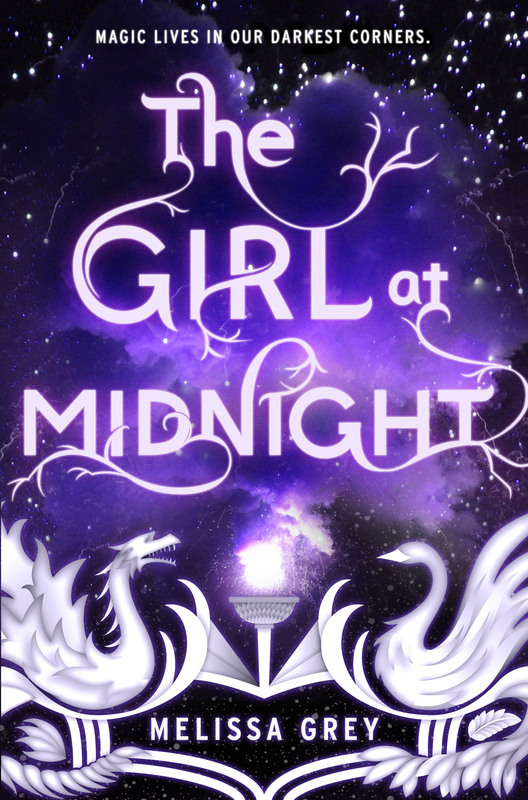 The Girl At Midnight revolves around a young human thief, Echo, who lives with creatures called the Avicen—bird-like people—in this YA urban fantasy. Echo is tasked to find a mythical thing of legend called the firebird, which is rumored to be able to end any war in favor of the one who controls it. And the Avicen want to end their war with the Drakharin—dragon-like people—as soon as possible. But when Echo and her best friend Ivy, a dove Avicen and apprentice healer, are captured by the Drakharin Dragon Prince, things go awry and it’s a race against time to find the firebird before the world and its inhabitants burn. Echo is sassy and clever; a girl swept up into a realm of magical danger that firmly believes in the mantra: “fake it ’til you make it”. She’s stubborn, willful and wholly optimistic, and I found myself laughing every time she spoke. Her friendship with Ivy was so sincere that I felt like I was with my own friends. Grey’s colorful descriptions of the world filled me with wanderlust and a new appreciation for our own world, specifically the kind of appreciation that has me looking for magic around every corner. Every chapter was told from the POV of a different character; be it Echo, Caius the Dragon Prince or Dorian, captain of the royal guard. But with the changing of POV so often it led to some short chapters, which often included scenes that did very little for the plot (though it did build character relationships, so I can’t complain). The Girl At Midnight brought me the type of excitement to read that I hadn’t felt since I read Red Queen by Victoria Aveyard, and it left me wanting to keep reading it all the time: in class, at dinner, in bed, when I should have been doing homework or working on my own book. The point is, I didn’t want to put it down. It was charming, enchanting and full of magical writing. The Girl At Midnight by Melissa Grey publishes April 28th, 2015. You can purchase it at in-store or at online retailers, like Amazon. You can visit Melissa Grey’s website here and follow her on Twitter @meligrey. I received The Girl At Midnight from netgalley.com for free in exchange for an honest review. Ooooo!!!! I’ve been putting this off! I’ll give it a try! It was one of my absolute favorites to read this year! I hope you enjoy it!